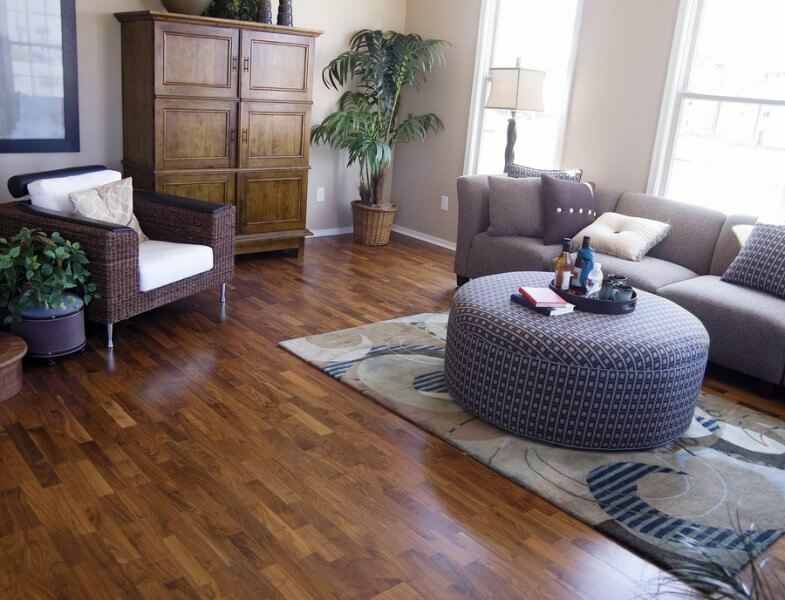 It’s no secret that solid wood flooring can drastically improve the interior of any home. Alongside decorative flair and timeless style, hardwood floors promise unparalleled durability, wear resistance, and longevity. But in order for your flooring to consistently deliver the best results, it’s going to need some TLC. There are a number of things that can lead to potential damages on your flooring, so day to day maintenance is essential. While this doesn’t mean spending countless hours on your hands and knees, a few simple tricks will help keep your flooring on the right track. If you’re new to solid wood flooring, you might not know where to start. If this sounds like you, then don’t worry! This is by far the simplest way to reduce harm on the surface of your flooring. Although it may not seem like it, the undersides of your shoes are a potential hazard. With every step, you could be treading dirt, debris, and other outdoor grime right into your flooring. This can cause abrasion, resulting in scratches, scuffs, and discoloration appearing on the surface of the wood. To be safe, it’s best to remove your footwear upon entry to your home. This will reduce stress on the boards, and extend the lifespan of the wood. If removing your footwear isn’t an option, there are plenty of other methods of reducing abrasion. One of the biggest causes of flooring wear is movement from furnitures, such as tables and chairs. Thankfully, there is a cheap and effective fix for this! Furniture pads are small fabric attachments that cushion the impact of furniture. This fantastic asset can be found online and at most DIY hardware stores. Simply attach each pad to the underside of your furniture, and save yourself a fortune in repairs! No matter how hard you try, there’s always going to be some foreign bodies that make their way onto the surface of your wood flooring. Not only does this look unsightly, but it’s also a detriment to the health of the wood! 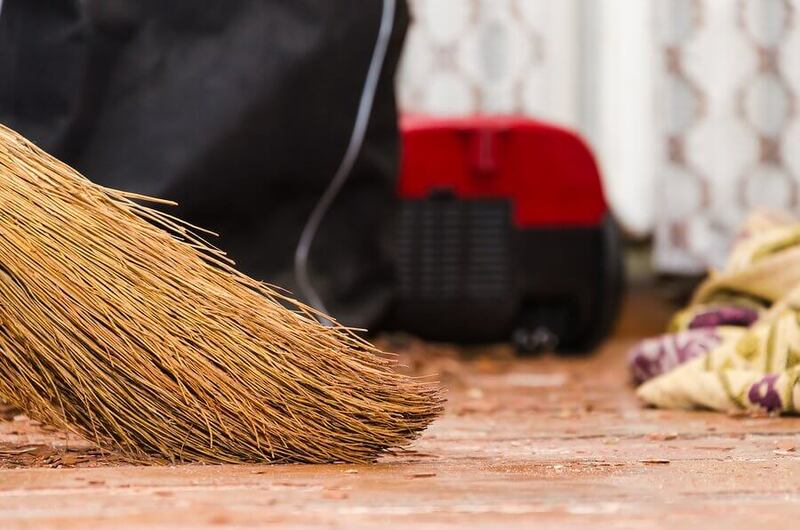 A swift, daily sweep should pacify most dust and debris. For more heavy-duty work, vacuum cleaning will prove invaluable, and a once over with a damp mop or cloth will restore a natural glow to your boards. Always remember to use a soft brush, vacuum attachment, or mop head. This will prevent you from scratching the surface! Keeping your wood flooring dry is an absolute must! Excess amounts of moisture can leech into your boards, leading to warping and shrinkage. This will prove costly further down the line. To make sure your flooring stays dry, always clean spillages immediately, no matter how big or small. When using a mop or cloth, use as little water as possible, and don’t forget to remove moisture from your boards the second you finish cleaning! One minute your enjoying your favorite meal or a glass of red wine, and the next you’re frantically trying to stop a stain from appearing on your flooring! Always keep a bottle of Hydrogen Peroxide to hand. If action is taken quick enough, this will help to remove any unsightly stains and blemishes. Simply cover a cloth or rag in the solution, and place above the afflicted area. Leave for a minimum of 6 hours, and repeat for another 12 hours if necessary. Some damages can’t be prevented, but that doesn’t mean that they can’t be fixed. One of the unique attributes of solid wood flooring is that it can be sanded and refinished time and time again. This will restore the wood to its former glory, retaining its beautiful appearance for years to come. But if this sounds like a lot of work, then don’t worry! Solid wood flooring has an incredible lifespan, and won’t need to be sanded for at least 10 years! Now that is low maintenance!